Artist Kay Hale puts her heart into a wonderful body of eclectic and creative work. Much of her art is of an abstract nature but mixed with representational forms. It is intriguing, colorful and above all, soulful. 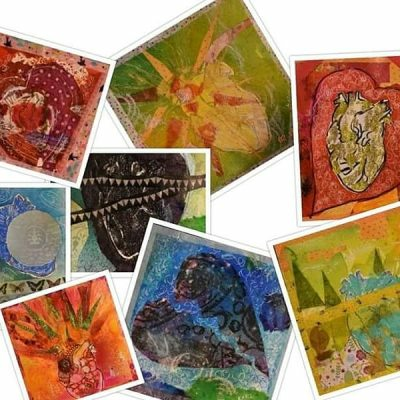 Opening February 16th and running through March 14th, Local Colors of Utah Art Gallery will feature many new mixed media art from Kay Hale.